It’s time to make sure you get your pre-orders in for March. That’s especially true for smaller market publications. Lately small press comics have been stealing the show and Princeless continues to be a title in that category. If you’re not familiar with Princeless than you are missing the funny and on target. The main character is Princess Adrienne, who discovered in her first adventure that she doesn’t need a prince to rescue her. 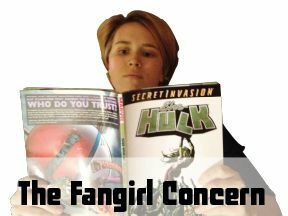 The four issue book became widely known for not only breaking the stereotypical mold of what a comic book heroine is, but made fun of it as well. Anytime a trope presented itself, author Jeremy Whitley stuck his metaphorical tongue out at it. That is what made it so much fun. The nods to well known female heroes and their ridiculous armor was great too. That feeling continues in Princeless Volume 2, Issue 2. Adrienne continues her quest of proving that princesses do not need to wait to be rescued by a prince, by trying to help her trapped sisters herself. Along with this topical humor of women being able to rescue themselves, this issue gives glimpses and small reveals of supporting characters. Humorous, well lets just call them side-effects, of being part dwarf are revealed for Adrienne’s best friend and armor-smith, Bedelia. Plus there is more information mystically shown about the mysterious black knight whom is hunting Adrienne down for being that murderous knight. 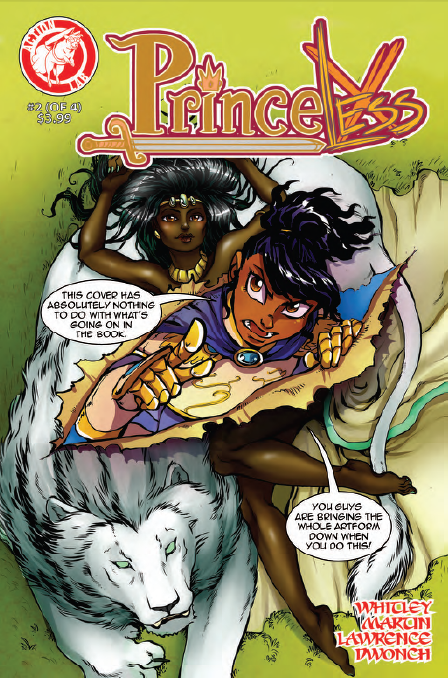 Princeless is the type of comic that sets the bar of what gender equal comics can be. It provides readers of all ages with examples of strong women and how unfortunately repression can come from within your own family. With a March 12th release date, time is ticking down to get your order in for this book. The duties on art have been taken over my Emily C. Martin for Volume 2. The style has more of an anime flavor that will appeal to some readers as well as more student age readers. This issue does fail to mention the name of our princeless protagonist, Adrienne, or how our heroines ended up on their quest to seek Adrienne’s sisters. These things can make it hard for new readers to jump on. I highly suggest that if this kind of series sounds interesting to you that you pick up issue one. While pre-orders might be too late to put in for issue one, you might be able to find it when it comes out on February 27, 2013. The Princeless series is also sold digitally on ComiXology. If you’re a print junkie, get your pre-order in now so that on March 12th, you’ll have this great comic, which acts as a chuckle worthy bridge in the soon to be launched story arc.